. 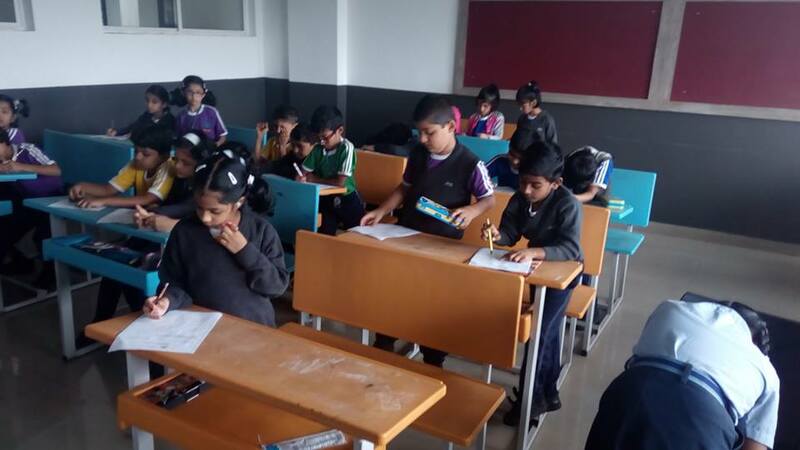 The qualifying round was held on 3rd August 2018, all the students were given rounds like dictation words, jumbled words, and break the word into many. Students qualifying in this round were sent to final round scheduled on 16th August 2018. All the selected students buzzed enthusiastically for final round. This round had 2 rounds (1) New word- Where the students had to break the word into many words within one minute and (2) Buzzer round where the child had to say maximum spellings asked in one minute. All the students performed very well. There was a tough competition, among the contestants. The tiny students showcased their talent smartly.